SALT LAKE CITY, Utah – February 20, 2018 – DPS Phantom, the permanent base glide treatment that forever eliminates the need for waxing skis and snowboards, earned seven separate awards at the recent Outdoor Retailer and ISPO trade shows. 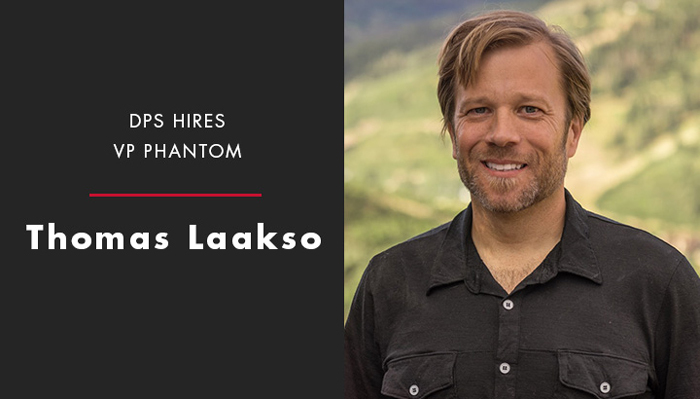 In addition to the numerous awards won, DPS recently hired ski industry veteran Thomas Laakso to the newly created position; Vice President, Phantom. Laakso will be championing the global strategy of Phantom and helping drive new service and revenue opportunities for specialty dealers. With executive level positions held at Black Diamond, The North Face and Mountain Hub, Thomas comes to DPS with more than two decades of experience developing and executing strategic marketing and product solutions, while successfully driving business and brand growth from startup to enterprise level. "I’ve been quite lucky to contribute my business and technical experience towards the sports that have shaped my life,” said Laakso. “The paradigm shift Phantom represents to everyday ski and board performance introduces exciting new service and retail opportunities to specialty dealers. With the pre-season bookings and number of awards won at the recent trade shows, it’s apparent the global market is ready for Phantom, and I’m extremely excited to help steer this next chapter in on-snow gliding." Among those who awarded the inventive solution that provides an answer to the age-old wax dilemma were: ISPO, Freeskier, SKI, Gear Institute, Gear Junkie, Gear Patrol, Outside and Pug Ski. For more on Phantom visit dpsskis.com/phantom.